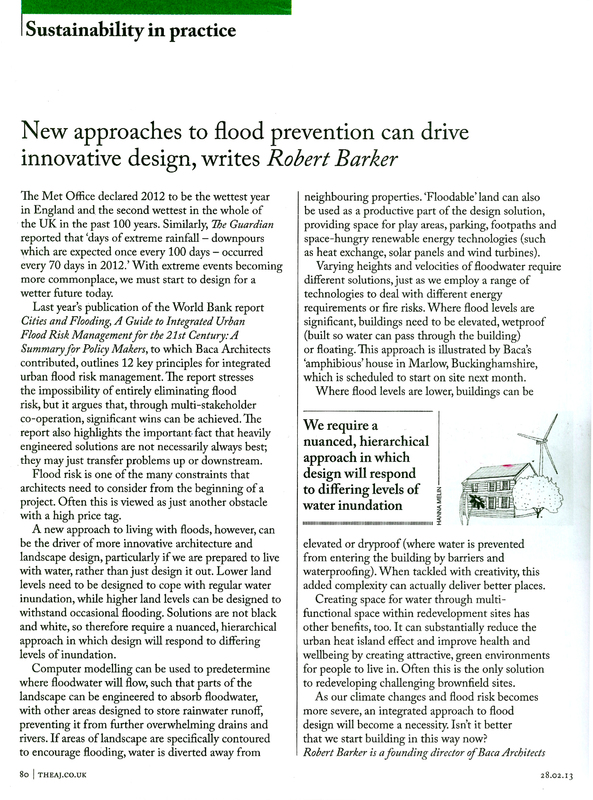 Baca’s Director, Robert Barker has published an article in the Architect’s Journal on Flood Prevention. Robert writes how integrated flood planning should be considered from the outset of the design process. “A new approach to living with floods, can be the driver of more innovative architecture and landscape design, rather than just designing it out." Please click on the image to read the article.